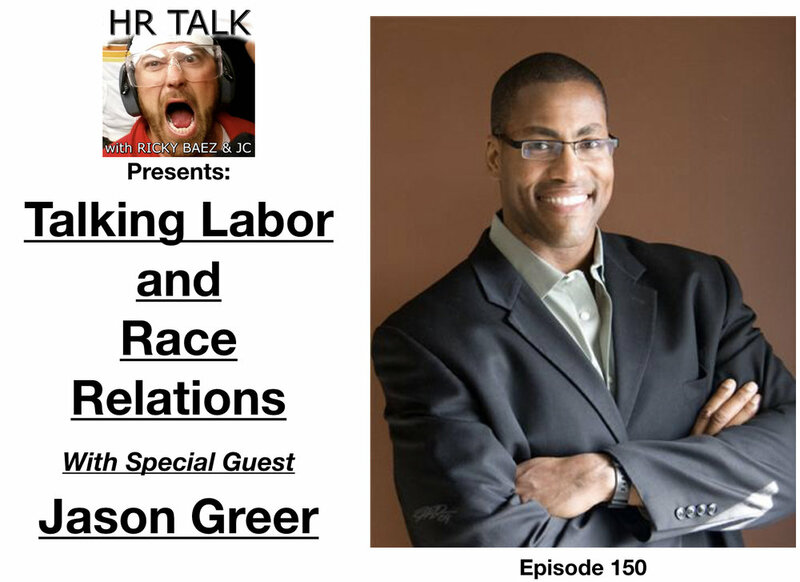 TALKING LABOR AND RACE RELATIONS WITH SPECIAL GUEST JASON GREER! — HR TALK! TALKING LABOR AND RACE RELATIONS WITH SPECIAL GUEST JASON GREER! On this episode JC and Ricky connect with the founder and President of Greer Consulting, Inc. (GCI), Jason Greer. As a nationally renowned labor relations consultant, Jason is recognized as a Labor Relations expert by major national publications such as the Wall Street Journal and Forbes. Highly rated CBS, ABC and Clear Channel Network stations in top markets across America including New York City, Chicago, Dallas, Detroit, Atlanta, Minneapolis, Pittsburgh, Baltimore, Portland, and Cincinnati have all called upon Jason Greer’s expertise. Jason is also the author of “People Matter Most,” with became a #1 best selling book on Amazon.com.